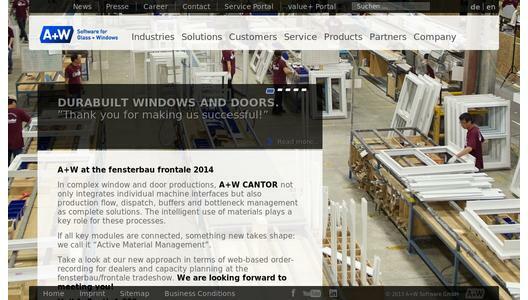 At Fensterbau/frontale 2014, A+W has some brandnew features in their CANTOR software for windows and doors on display, for the use in the office as well as on the shop floor, in-creasing the efficiency and profitability of their client's business. The A+W CANTOR solu-tions for windows and doors integrate seamlessly with the A+W systems for IG and glass processing factories. Material costs in the window and door industry are rapidly increasing. 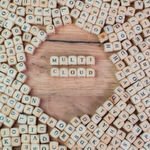 Intelligent material management is therefore an increasingly important issue even for medium-sized companies. Material management requires a holistic consideration of subjects such as warehouse stock, reservation, purchasing, conditions, goods reception, and many more. We are able to offer tools for the efficient and sustained improvement of material manage-ment for each area, thereby allowing our customers to save large amounts of money - in addition to the profit from optimized processes. A+W CANTOR has developed a new holistic approach to the subject of material - we call it "Active Material Management" and are launching it extensively at fensterbau/frontale. With more than 4,500 active users, the dealer program A+W CANTOR is the most widely used software product in the industry! Most of these users already work with the online ver-sion, where they save all the master and movement data on a central server. At fensterbau/frontale 2014, A+W is showing a completely revised order entry structure, which can be used even more quickly and intuitively. Especially users who do not use software every day will come to value this a great deal. Our aim is to develop a new generation of dealer solutions and a product configurator which can be used entirely intuitively and simply with a web browser. With its Just-in-Time schedule and capacity planning, A+W CANTOR offers an excellent in-strument for planning orders in terms of the purchasing, production and shipping schedule, thereby guaranteeing the shortest possible delivery deadlines with extraordinarily high dead-line compliance. However, it is possible that problems make it necessary subsequently to change schedules for orders. Problems can arise, for example, due to late delivery of materials, machinery breakdowns or priority orders. 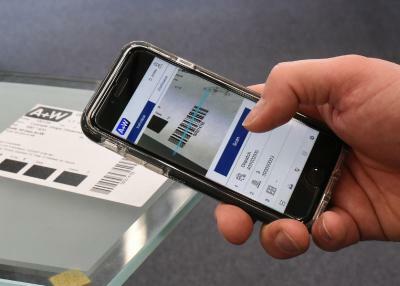 In cases like this, all the checks relating to material ordering, capacity and shipping will have to be carried out again. A new A+W CANTOR user interface in the form of a comprehensive planning screen will be shown at fensterbau, in which the necessary schedule changes are displayed clearly in a chart. You can immediately see which orders are scheduled and which can be postponed. This new planning overview considerably simplifies the quick and easy replanning. Visit A+W at fensterbau/frontale 2014, Hall 1, Stand 1-329! A+W is the market leader for software in the flat glass industry as well as the windows and doors business. 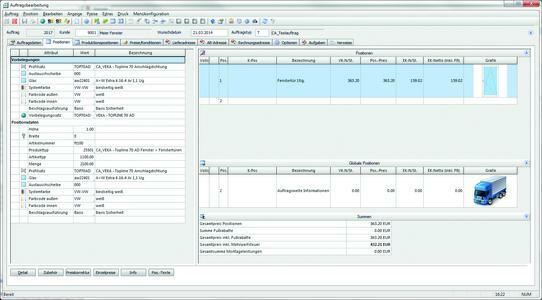 We develop ERP-, PPS-and optimization software in order to make glass and window manufacturers even more efficient. 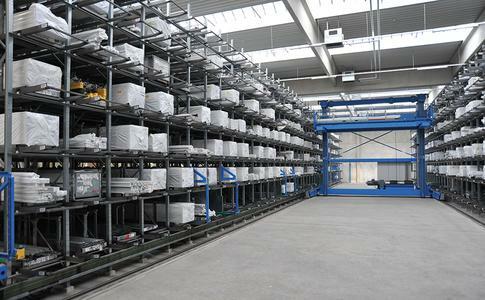 We have been active on the market for more than 30 years and we sell our products worldwide. A+W cooperates with experienced and competent companies in the industry. This combination provides the best possible solution for our customers. A+W is showing a completely revised order entry structure, which can be used even more quickly and intuitively. Ideas from the users are permanently incorporated and included in the next update - to the benefit of all users. A+W has developed new generation dealer solution which can be used entirely intuitively and simply with a web browser.